Most people going into the vegan lifestyle think they are going to lose those comforting dishes that they have grown up with all their lives...my goal has always been to never sacrifice that comfort in pursuit of a vegan recipe & so far I have never met a dish I couldn't conquer. When you think of comfort food, most have a family connection. 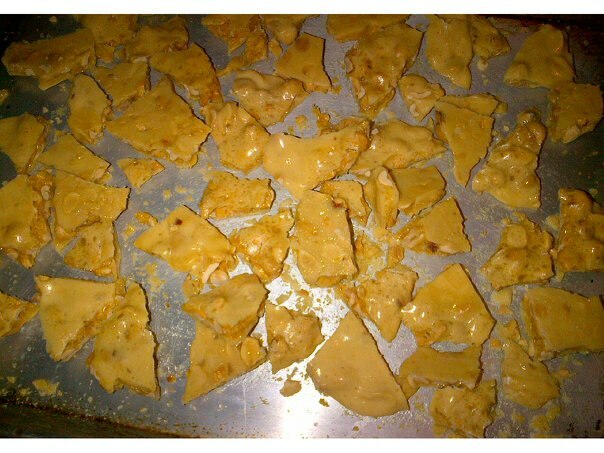 This recipe is no different, it is my mothers peanut brittle recipe that she has been making for as long as I can remember. What's different then most recipes, is it actually contains peanuts. Most brittles are skimpy on the nuts but this one delivers. This brittle goes on every cookie tray she ever makes and iit s a hit with everyone who tastes it...she has made it a comfort food for not only our family but many other families as well. I have taken her recipe and turned it vegan and am sharing it with all of you (with her permission of course! )...I hope your Family & Friends enjoy it just as much as ours do. Butter a cookie sheet. Combine sugar and corn syrup in a 2 quart glass mixing bowl (mix to combine the two) and microwave on high 4 minutes. CAREFULLY remove from microwave and Stir in peanuts and microwave on high for 2 minutes more. Again remove from the microwave and Stir in butter & vanilla and microwave for 2 more minutes. Once the minutes are up remove from microwave and Stir and incorporate the baking soda until light and foamy. Pour onto buttered cookie sheet and spread to desired thickens. Cool completely and break into pieces and serve. Enjoy! COPYRIGHT All content on this blog, including the photography and written text, recipes, ingredients, method are my work, owned by Amy Lynn Krell, which means it is copyrighted with © All Rights Reserved. Links and short excerpts of the post can be used with credit and a link back to the blog. Recipes - Ingredients and method, Photographs CANNOT be reproduced or copied in any form. No work from this blog may be used for republishing and for commercial purposes without my permission. Please contact OCCGal7 (at) netscape (dot) com for permission/questions/inquiries. 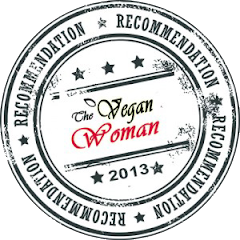 The Comforting Vegan by Amy Krell is licensed under a Creative Commons Attribution-NonCommercial-NoDerivatives 4.0 International License. 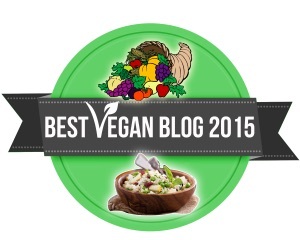 If you have a recipe you want veganized, please let me know and I will try and create it for you. 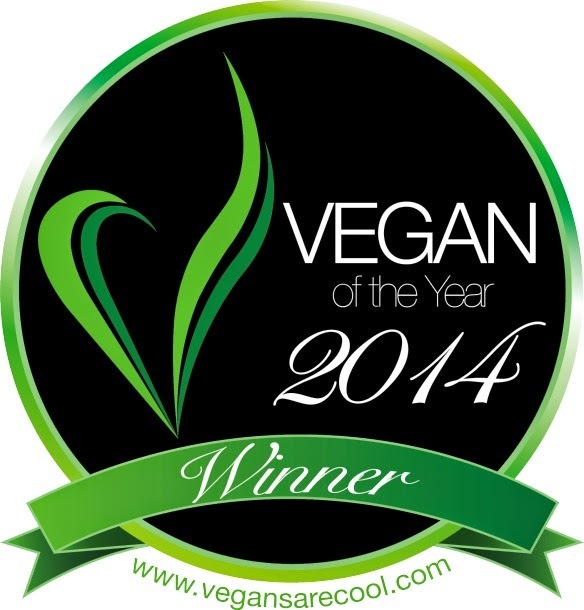 The Comforting Vegan. Picture Window theme. Theme images by hatman12. Powered by Blogger.